Tip: If you copy and paste information into any of our forms please make sure that you have not pasted in any hidden special characters otherwise your entry may not be exactly what you think it is. It is usually best to type the information afresh. Fields marked with an asterisk * are mandatory. 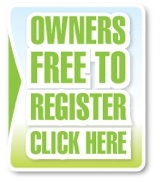 YOUR name as it appears on the Kennel club activity or breed register. Please read, understand and agree to the terms and conditions before registering.